This three piece black LUXURY PRET is the element of royalty which display the sign of elegance and style. 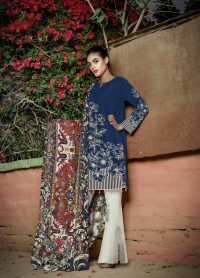 Upon the khaddi net shirt, the culturally hand touching and computer embroidery is truly effervescent which is perfect for every event. 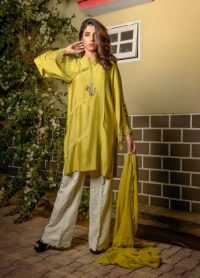 Khaddi net shirt with chiffon peplum sleeves is replicating an abode of an emerge culture. 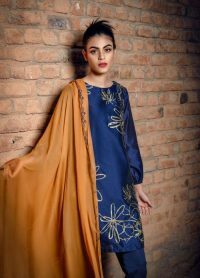 Dhaka pajama viscose and flowy chiffon dopatta exhibit richer looks this festive season. 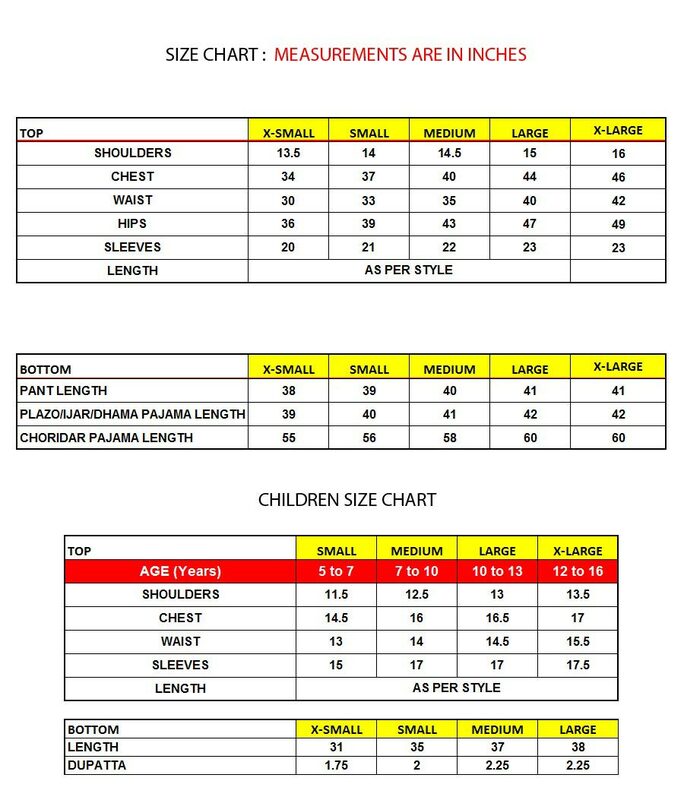 The integrity of this attire encapsulates with full sleeves yet it can be modified with quarter, half or no sleeves. BUY NOW and make a statement look with this great pick for an evening party.